Arizona Active Adult Homes for Sale in the Phoenix AZ area. Arizona active adult homes for sale can be tricky to find. Arizona is home to many 55+ communities, so how do you find the one that is right for you? Active adult communities began in the 1960’s when Dell Webb began development of Sun City, the first in Arizona and the first in the country. The concept caught on and soon active adult communities grew all over the Phoenix area. Arizona is a top choice due to mild winter climate and abundant sunshine. How do I find Arizona Active Adult Homes for Sale with so Many Choices? It’s true that many 55+ communities exist, so let’s look at narrowing your search. What is most important to you? Maybe it is location, or maybe the need to be near medical facilities or airports is important. Arizona offers some amazing active adult homes for sale in various locations, so let’s take a look at some options. Generally, the west valley is anything west of I-17. Sun City and sister communities Sun City West and Sun City Grand are in the northwest corner of the west valley. Pebble Creek is also in the west valley but further south and near the I-10. Trilogy at Vistancia is located in Peoria AZ. Traffic in these areas tend to be an issue for airport travel, especially during peak times. However, the amenities and access to shopping, restaurants and business services is great. Likewise, the east valley is anything east of I-17. Sun Lakes is the largest of the east valley communities. Sun Lakes is also one of the best locations with quick access to all major freeways and airports. Sun Lakes borders Chandler in the southeast valley. 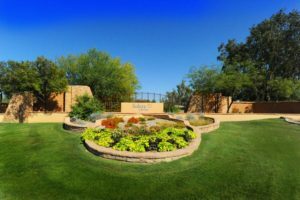 Solera is a Dell Webb gated community in Chandler that is smaller in size but rich in amenities. 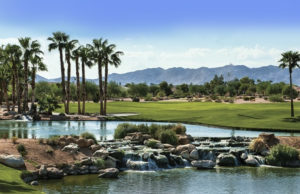 Sunbird Golf Resort in Chandler offers Arizona active adult homes for sale and is less expensive than others. Trilogy at Power Ranch is located in Gilbert. Encanterra is located in Queen Creek and offers new builds as well as resale homes. Many park model and RV communities are located in Mesa and Apache Junction, if that is more of an interest. Ready to learn more about Arizona Active Adult Homes for Sale? Contact us here or call 480-440-0489 for more information.